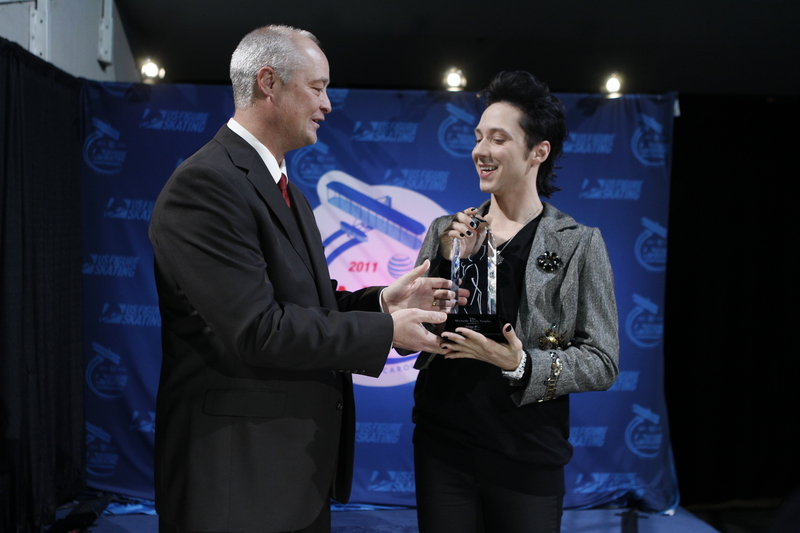 Tickets for 2012 Hilton HHonors Skate America are on sale now at 2012SkateAmerica.com. How do we know? 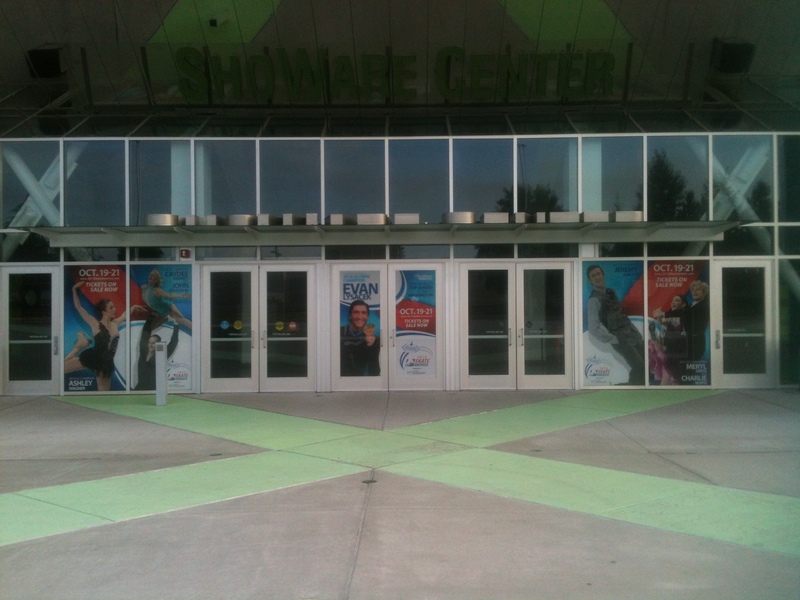 These awesome windows at the ShoWare Center in Kent, Wash., tell us so! 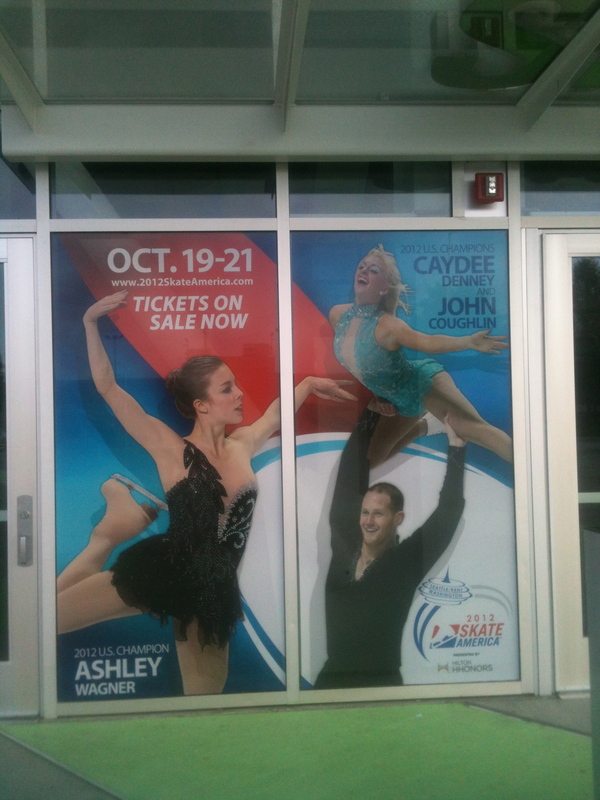 See the pictures below and we hope to see you at Skate America Oct. 19-21! The 2010 Olympic champion is back. Evan Lysacek announced earlier on the TODAY show, live from London, that he will return to competitive skating, with the hopes of defending his title in Sochi in 2014. 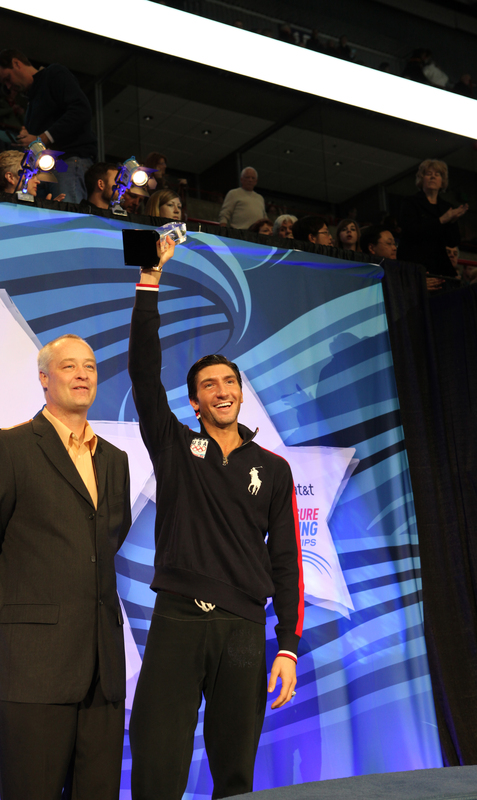 Lysacek is also one of three additions to 2012 Hilton HHonors Skate America, set to take place from Oct. 19-21 from the ShoWare Center in Kent, Wash. He will be joined at the first ISU Grand Prix event of the season by Marissa Castelli and Simon Shnapir and Anastasia Cannuscio and Colin McManus, as the other additions to the event which already featured all four reigning U.S. champions. 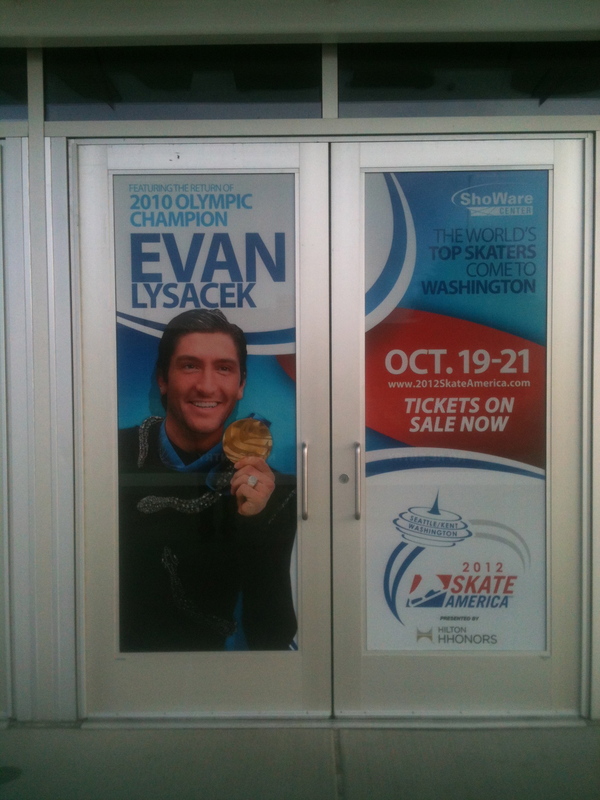 Since earning gold in Vancouver, Lysacek has been busy. Click the image below to read the May 2011 cover story of SKATING magazine. Since the above story was printed, Lysacek was also appointed a sports envoy by the U.S. Department of State, a position in which he engages overseas youth in positive dialogue on the importance of education, positive health practices and respect for diversity and participated in domestic and international skating shows, made numerous TV and red carpet appearances and participated in several philanthropic events. Castelli and Shnapir will compete at Skate America for the second time after they placed sixth in 2010. Since teaming up in April of 2006, they have earned the bronze medal at the U.S. Championships at the novice and junior levels, and again at the World Junior Championships in 2009. Their best finish on the ISU Grand Prix Series came in 2010 when they received two assignments and finished in fourth at Skate Canada. Last season, Castelli and Shnapir placed seventh at NHK Trophy and they ended their season with a fifth place showing at the 2012 Prudential U.S. Figure Skating Championships. Cannuscio and McManus will make their senior Grand Prix debut after four years together. They earned the junior bronze medal at the 2011 U.S. Championships and have placed in the top 10 at every international event together. Last season, Cannuscio and McManus finished sixth in ice dancing at the 2012 U.S. Championships in their first season competing at the senior level. In addition to the news of the additions to Skate America, U.S. Figure Skating has also announced that that single-session tickets for 2012 Hilton HHonors Skate America will be available at 10 a.m. (PT) Friday, Aug. 10. 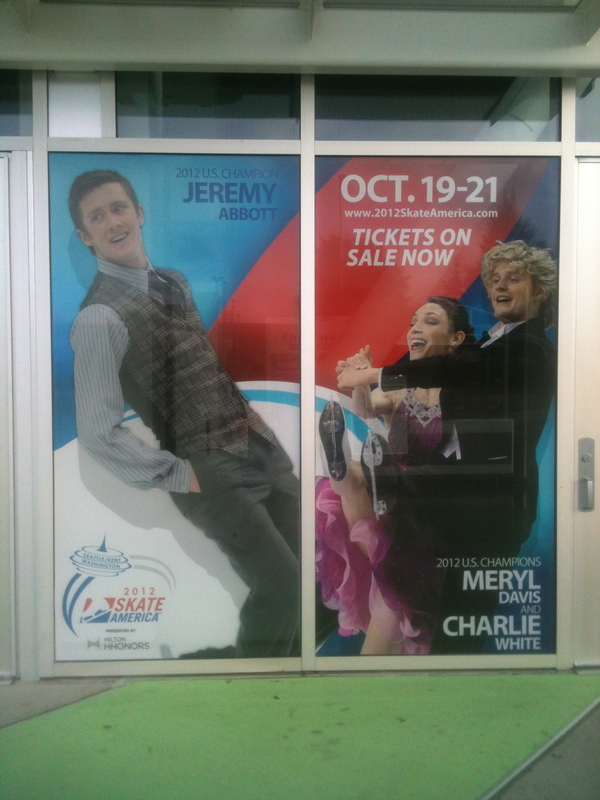 Starting at $10 per session, tickets will be available by visiting www.2012skateamerica.com/tickets or the ShoWare Center box office. Every year SKATING magazine awards its Readers’ Choice Award chosen by fans and readers of SKATING magazine. It’s that time of year again and the voting has opened for the award, which is now named in honor of seven-time winner Michelle Kwan. Click below to vote and help name the 2012 Readers’ Choice Skater(s) of the year! Voting closes on July 15th and the winner will be announced in the August/September issue of SKATING, on the U.S. Figure Skating website and on icenetwork.com.